It tastes like the best cup of tea you’ve ever had. So in the spirit of this great day, I present to you Jerry Thomas’ recipe for Green Tea Punch; a cold weather favorite that’s sure to please at your New Year’s Eve get together, or your New Year’s Day visiting hours. 1. Add the sugar to a large punch bowl, rub the sugar on the rind of the lemon. 2. Remove the lemon, slice in half, and juice. Add lemon juice to the punch bowl. 3. Wrap one ounce of loose leaf green tea in cheese cloth (or other method of infusing), and brew in boiling water for at least three minutes or to taste. 3. 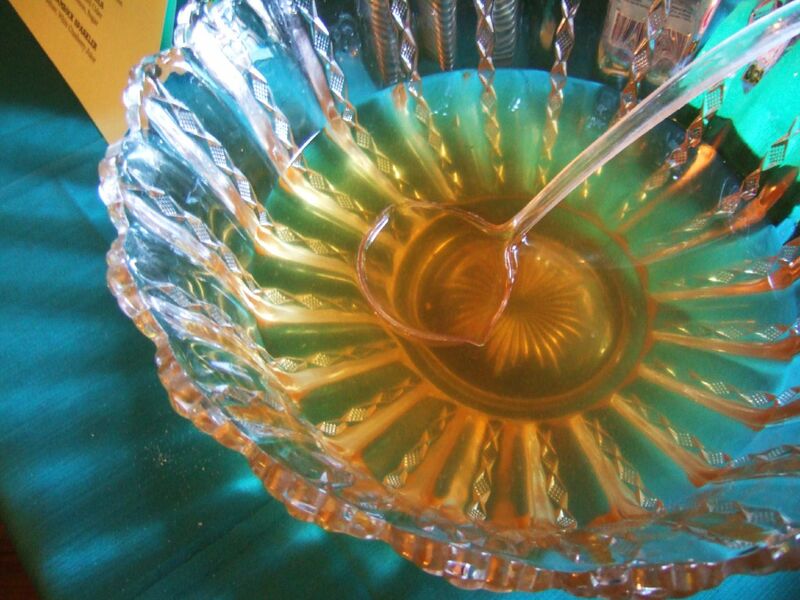 Add brewed tea to the punch bowl; stir until sugar is completely dissolved. 4. Add brandy and rum, stir to combine. Serve hot. This is the way that I make it; Thomas’ recipe actually calls for a bit more flair. Follow steps 1-3, above. Add alcohol, then “Set these a light, and pour in the tea gradually mixing it from time to time with a ladle; it will remain burning for some time and is to be poured in that state into the glasses.” I’ve never attempted this method before, but perhaps this is the year. Twisted sticks of Barley Sugar were originally made in the 17th century by boiling down refined cane sugar (a new product at that time) with barley water, cream of tartar, and water. During the 18th century metal molds were used to create the wonderful variety of shapes known as Barley Sugar Clear Toys. 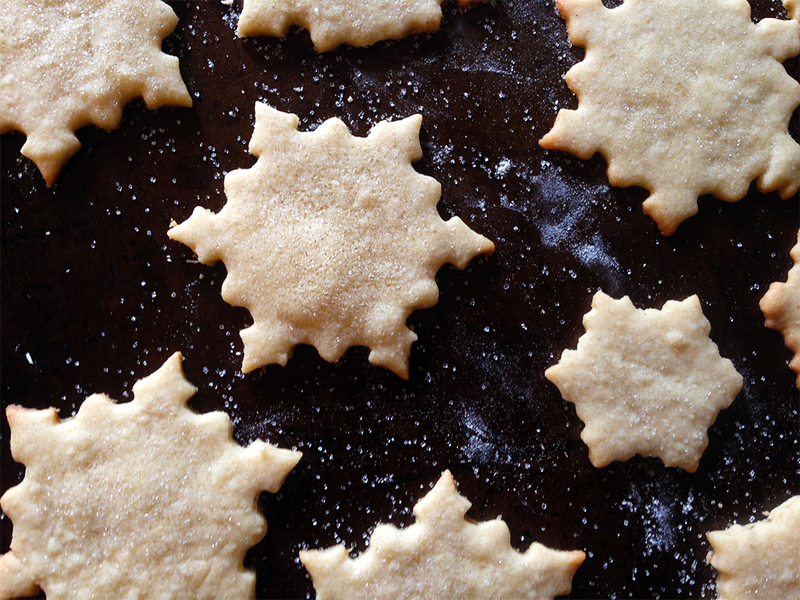 These became a popular Victorian Christmas treat. “Clear Toy Candy” refers to the molding of hard candy into various three dimensional shapes without sticks (not a lollypop). The term does not imply the use of Barley Candy, though traditionally Barley Sugar and Barley Candy were used to make clear toy candy. Timberlake Candy has hundreds of antique molds appropriate for any holiday or season, but they only make the traditional barley candy for a few weeks around Christmas. Buy barley sugar candy here. My aunt gave me a tin of spices from The Olive and The Grape , a local business in Cleveland. The tin contains a collection of seasonings “…Reflecting the history and foods of the ten major ethnic groups who were first to settle Cleveland–African-Americans, Chinese, Czech, German, Hungarian, Irish, Italian, Polish, Slovenian and Ukrainian.” I’ll have to cook a traditional Cleveland area dish appropriate to each of these ethnic groups! 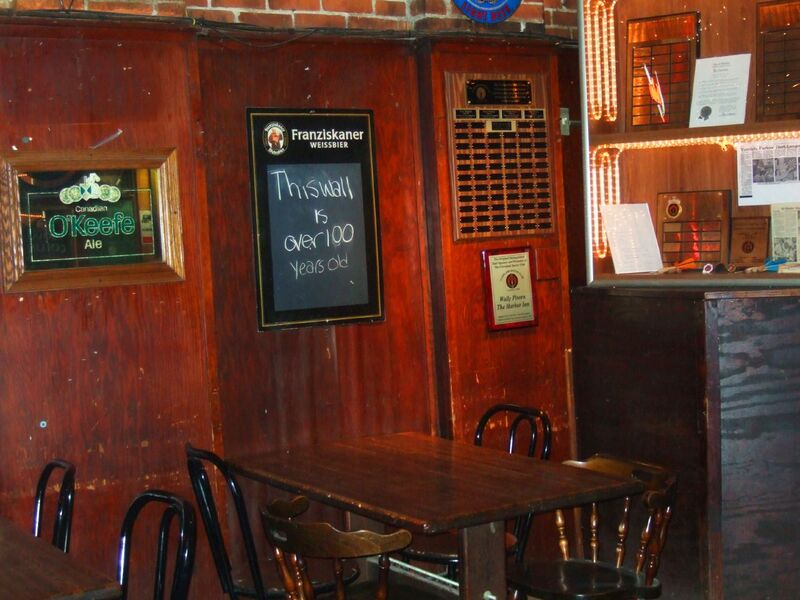 “This wall is over 100 years old.” Inside Cleveland’s oldest continually operating bar, the Harbor Inn. I’m in my hometown of Cleveland for the holidays, a city I love very much. My heart breaks to see it looking so threadbare in this recession. My friends and I decided to celebrate our city via a journey into Cleveland history: a crawl of Cleveland’s oldest pubs and bars that tip their hats to a bygone era. 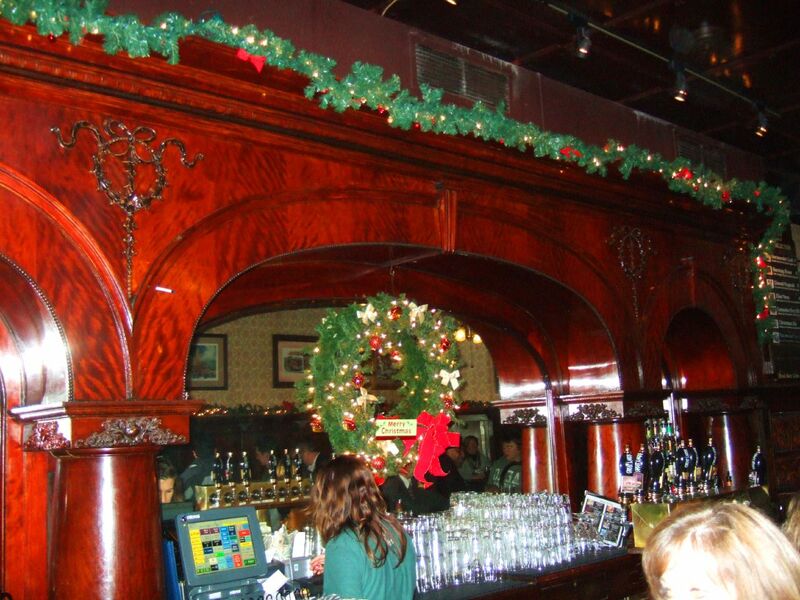 Our first stop was Edison’s Pub, a local bar that pays tribute to Thomas Edison. We started there mostly because it was a convenient meeting spot for the attendees, but the $2.50 happy hour drink special wasn’t bad either. Cleveland, you truly are the land of plenty! Next up was the Prosperity Social Club. Although it resides in what was a 1938 ballroom, the atmosphere was more 1950s VFW hall. However, as someone pointed out, it was very traditional, old-school Cleveland. We dug it. It was easy to picture iron workers coming in from the cold for a drink, and the bar is still warmed by a vintage wood-burning stove. 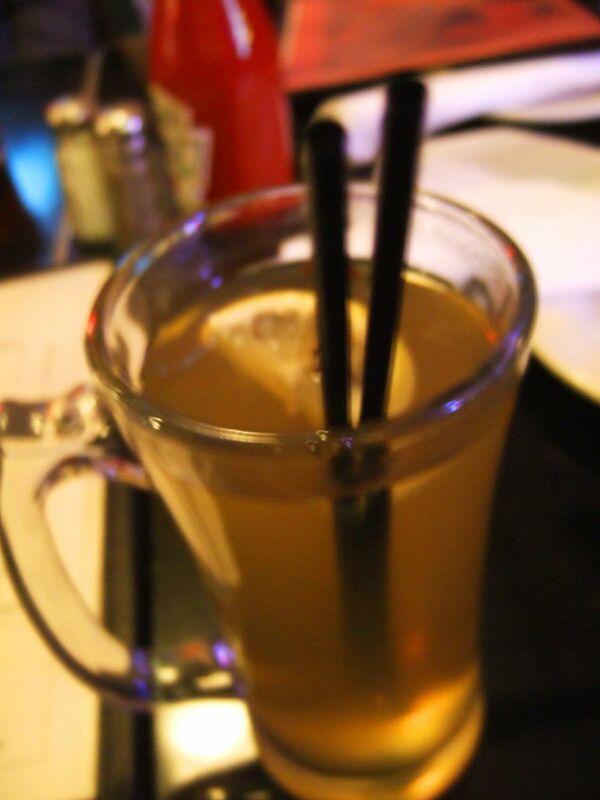 I drank a hot whiskey, a comforting combination of Jameson, honey, lemon and clove. Good for what ails ‘ya. I recommend it, as well as the pierogies, the next time you’re there. Sounds right up my alley, doesn’t it? It’s pricier than most Cleveland bars, at $15 a drink, but it’s worth it. The cocktails taste like a sip of history, respectfully revived and celebrated. I had a pisco sour (Peru’s national drink!) and I plan on returning soon for one of their carefully crafted Manhattans. This bar is incredibly popular in Cleveland: five years ago, when I was working on my thesis, everyone said a venue like this could never survive locally. As it turns out, perhaps a historically innovative place like the Tango Room is exactly what Cleveland needs. Next we walked a few blocks past the Westside Market, and into the Great Lakes Brewery. GLB is know for its beers named after famous Clevelanders and events from the city’s history. It’s housed in what was once the Market Tavern, est. 1865. The bar in the Taproom at the Great Lakes Brewery. There is a pen sticking out of a bullet hole put in the bar in the 1930s. Ness’ time in Cleveland is a fascinating one, marked by his fruitless search for a serial killer known as the Torso Murderer that stalked the city streets. The killer would dismember his victims and leave their remains on the banks of the Cuyahoga. The case was never solved. 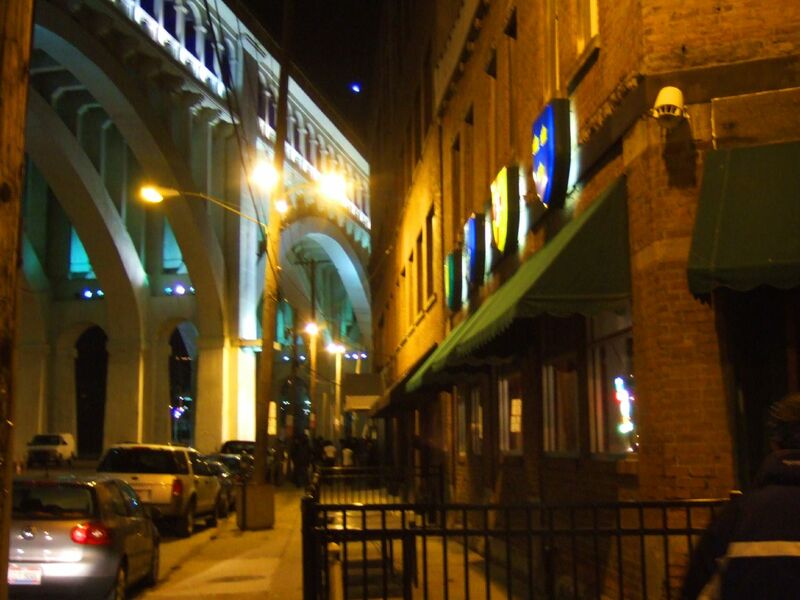 We cabbed it again, heading for the lake front and the Harbor Inn, Cleveland’s oldest continually operating bar, est. 1895. We were apprehensive about this joint, having heard it was both a dive and a college bar. But upon arrival, it was exactly the kind of place I’m comfortable in: a little worse for the wear, but roomy and convivial. We had a great time playing on the vintage bowling machine and downing $2 PBR tall boys. I don’t remember much at this point…someone was solving a mystery. I ate a gyro from a street cart. Somebody else may have gotten married. At any rate, a good time was had by all. I’m certainly thankful for my Cleveland friends who joined me on my historic antics. And I’m thankful to have grown up in such great town with a fascinating history. I love you, Cleveland! Check out our route here. And see more photos below! “The Tudor kitchens at Hampton Court Palace are famous throughout the world for being those of King Henry VIII. Grimod’s favorite chocolate, Debauve & Gallais, can be acquired this side of the Atlantic at their shop in New York City. The recipes in the article sound amazing. They’re fascinating because they use ingredients common to 19th century American cooking, like citron and rosewater. I think I’m going to have an ancient Middle Eastern dinner party before too long. Eva has provided me with further evidence that Victorians had too much time on their hands. She directed me towards this book: Fruit Figures, and How to Make Them. The first is a giant, disembodied hand, made up to resemble an old woman. However, these images do seem to be the inspiration for some contemporary artists. Curious where to find the best Christmas gifts for the culinary history enthusiast in your life? Look no further: I’ve put together this list of gifts for the antiquated cook and contemporary gastronome alike.. This mega candy store on New York’s lower east side carries a plethora of hard-to-find historic cooking ingredients such as preserved citron peel, dried currants, and almond paste. Additionally, they carry “Old Time Favorites,” vintage candy bars like the Cherry Mash. Deborah’s Pantry specializes in obscure 18th century cooing ingredients and apparatus, including isinglass and pearlash. The 18th Century Tea Sampler ($16) makes a great gift for the casual enthusiastic. The St. Nicholas Society of New York was founded by a man named John Pintard. Pintard was largely responsible for the invention of our modern Christmas traditions, along with society members Washington Irving and Clement Clark Moore. These men were obsessed with the Dutch history of New York, and they appropriated St. Nick as New York City’s patron saint. In Holland, St. Nicholas brings toys to children on his saint’s day, Dec. 6th. Historically, this tradition was observed by upper class Dutch families. The working class Dutch that immigrated to New Amsterdam did not bring this tradition with them. In short, the Knickerbockers felt that they belonged to a patrician class whose authority was under siege. From that angle, their invention of Santa Claus was part of what we can now see as a larger, ultimately quite serious cultural enterprise: forging a pseudo-Dutch identity for New York, a placid “folk” identity that could provide a cultural counterweight to the commercial bustle and democratic ‘misrule’ of early 19th century New York. St. Nicholas evolved into Santa Claus with the aid of Clement Clark Moore’s poem A Visit from St. Nicholas. In the above menu, note the special “Knickerbocker” recipes, various traditional Dutch dishes. Additionally, take note of the “Ornamental Confectionery.” These would have probably been sculpted out of marzipan. Today is also the one year anniversary of this blog. Thank you all for your support, encouragement, and enthusiasm. This year has been so meaningful and wonderful, and I can’t wait to see what the next twelve months will bring! Events: Emily Dickinson’s Birthday Bash! 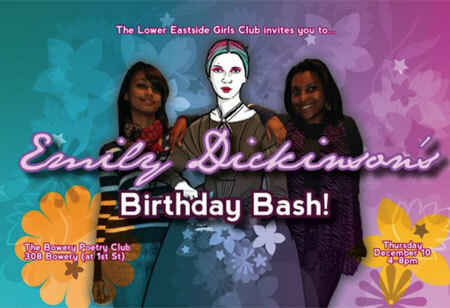 You are invited to celebrate Emily Dickinson’s birthday on Thursday, December 10th, at the Bowery Poetry Club in NYC. The event starts at 6pm, and is free! It’s a particularly special night for me because it is the premiere of Emily: Her True Self, a short film I’m working on with artist Flash Rosenberg and the Lower East Side Girls Club. And like any good birthday party, there will be CAKE! Emily Dickinson’s “Black Cake,” a fruitcake recipe found amongst the poet’s papers. I’m not baking it, but I will be there eating it. Read more about the event here. And if you can’t make it down to the Bowery for a night of poetry and premieres, then celebrate at home with a slice of Miss Dickinson’s cake. It’s a traditional fruitcake, so it’s perfect for the holidays. A recipe adapted for modern kitchens is printed below; try as I might, I couldn’t track down a copy of Dickinson’s original recipe online (although if anyone out there attends Harvard, you could get your hands on a copy). Like any good fruitcake, you should let it sit in the back of your fridge for about a month before serving. And don’t forget the 179 birthday candles. From Emily Dickinson: Profile of the Poet as a Cook by the Guides at the Dickinson Homestead. Place a shallow pan of water on the bottom of the oven. Preheat oven to 225 F. Add sugar gradually to butter; blend until light and creamy. Add unbeaten eggs and molasses. Beat well. Re-sift flour with soda and spices. If you’re using unsalted butter, add 1/2 tsp salt. Beat sifted ingredients into mixture, alternately adding brandy. Stir in raisins, currants, and citron. Pour batter into two loaf pans lined with waxed paper. Bake at 225F for 3 hours. Remove pan of water for last 1/2 hour. Let loaves cool before removing from pans. Remove paper and wrap in fresh paper.